With Allen Ginsberg, William S. Burroughs, Gary Snyder, Gregory Corso, and several other essential writers/poets, Jack Kerouac shared the 1960’s ‘Beat Generation’. On the Road, the book — I share details on below — was written by Jack Kerouac. A background of Kerouac’s writing journey is shared at the British Library in London in 2012 (and at other museums around the world). When I was in Paris, I picked up the french edition of On the Road. I am not fluent in french, although it is passable. Kerouac does not pause in his writing and punctuation does help in the translation process.Needless to say, this edition, although treasured still taunts me from my bookshelf. The english version, though, is dog-eared. 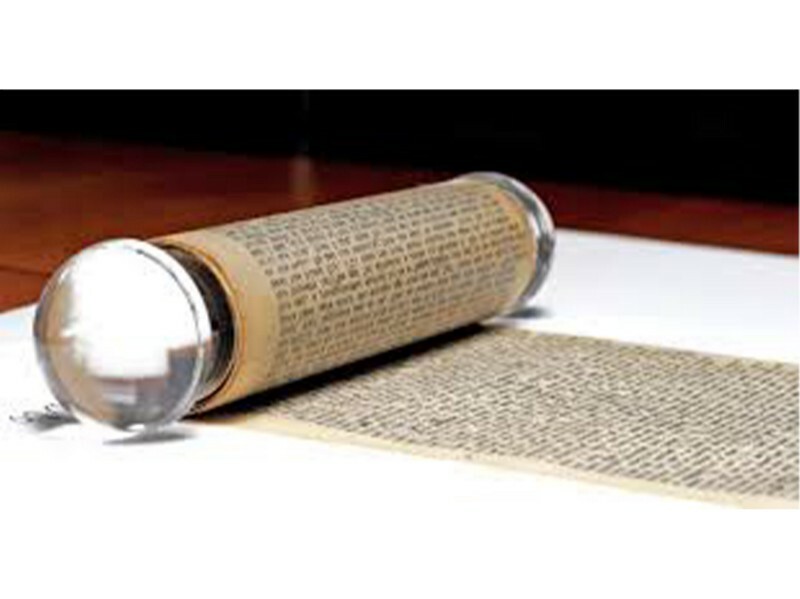 The scroll of Kerouac’s book, On The Road.